IEEE Tokyo Section will host The 2012 Annual General Assembly, The 2012 First Commemorative Lecture and Celebration for The 2012 New Fellows. For more details, please cick here. The technical lecture entitled "Silicon Power Devices, contributing to the energy of the world --- their development and the future" was held in the Glass Building of the Tokyo International Forum on Tuesday, January 17, at 4:00 p.m. by Dr. Akio NAKAGAWA, Technical Consultant of Nakagawa Consulting Office, the recipient of the 2010 IEEE William E. Newell Power Electronics Award. Current trends in green energy and ecology, silicon power devices attract ever increasing interest. Among such devices, IGBT, Power MOSFET and Power IC are the most typical, each of which he explained the latest status and future vista. The story of success in the development of first non-latch-up IGBT as well as further pursuing challenging targets left 89 room-filling participants with a deep and lasting impression. 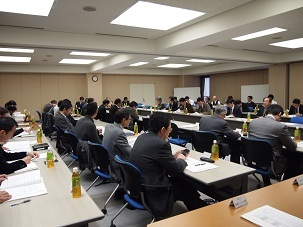 An ad hoc committee “Long Range Strategy Committee (LRSC)” which discusses the medium- to long-term agendas was held on Monday, November 14 in the head quarter of FUJITSU LIMITED. 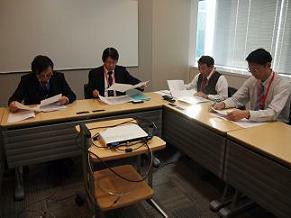 LRSC put together the past result of study in order that LRSC may submit the report to the advisory items from Japan Council(JC) Executive Committee: Get together the actual condition of JC which has been founded since 10 years, and discuss the directional movement for the future. The outline is following: Rapidly transition from JC Chapter to Section, strengthen inter-Section and inter-JC officer's human network. 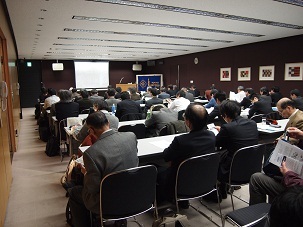 The 2011 Second Meeting of Japan Council Chapter Operations Committee was held on Thursday, December 1, 2011, from 2:00 p.m. at Japan Society for the Promotion of Machine Industry. 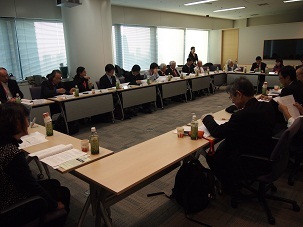 The 2011 Third Meeting of Japan Council Executive Committee was held on Thursday, December 15, 2011, from 3:00 p.m. at Shiodome City Center, Tokyo. Please click here to send us your opinion about the Tokyo Bulletin.